Anna sings a portion of "For the First Time in Forever" and Elsa sings "Let it Go." The singing dolls are activated by light sensors. They automatically start to sing the moment you remove the plastic stoppers located at the back, right above the battery box. But since light powers the dolls to sing (apart from the battery of course), there is a need to use a flashlight to power up the sensors at areas with dim lighting or at night. I got the dolls from a high school classmate who is selling imported goods locally through pre-order basis. But since the items are to be shipped from overseas, the buyer shoulders the shipping fee as well as other added fees. But if you are familiar with buying through overseas located stores online, you can get the dolls via the Disney Store, eBay, Amazon, and other stores. 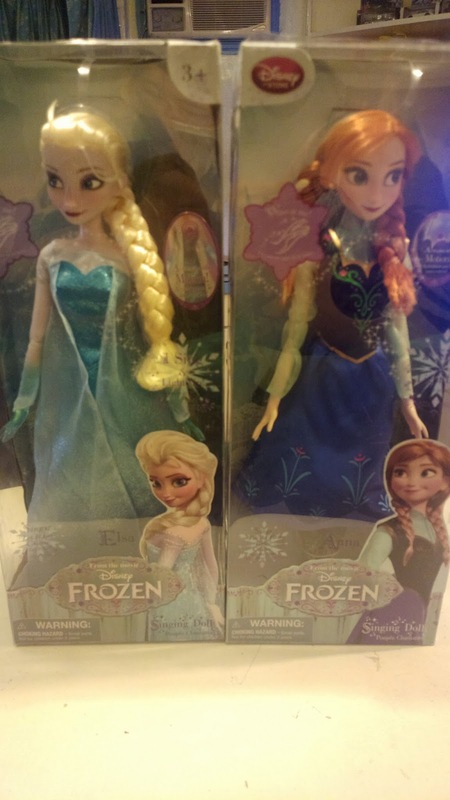 For Amazon, click here for Elsa and click here for Anna.